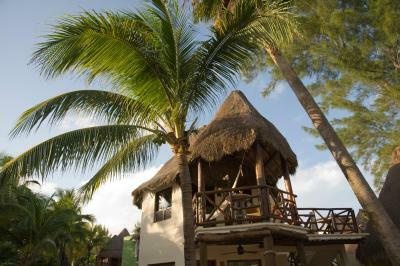 Lock in a great price for Mahekal Beach Resort - rated 8.9 by recent guests. 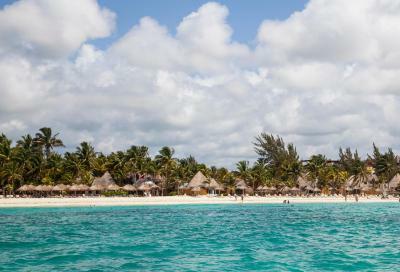 No tv, you feel like you are in Tulum but at the same time you can go out every day to all the nearby local restaurants. Several pools , paddling included, great service, beautiful hotel. 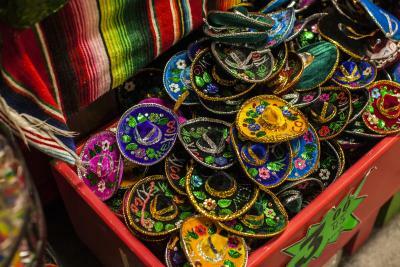 It’s also only 45 mins drive from Cancun airport. a bit more private and away from most tourists. pool options, hot tub and location. great service from staff. 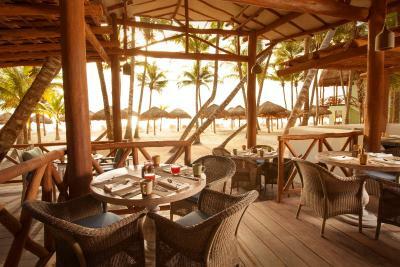 Everything its amazing and not have the feeling of the huge resort all inclusive - food at fuego restaurant (hotel) is simply one of the best we had in town and the personnal are super friendly not pushy at all always ready to help. 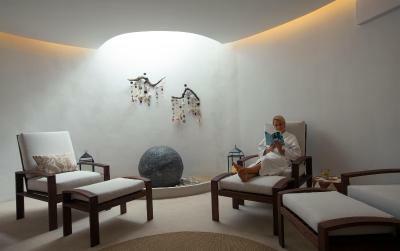 Beautiful installations in synch with beach landscape and staff extremely friendly. 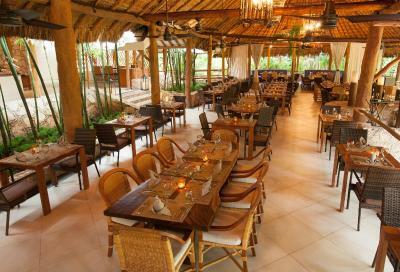 You get the palapa experience in the middle of the city so there you already have your pro's and con's in one sentence. It was clean, the grounds were kept in good order. Beach was cleaned of algae every other day. 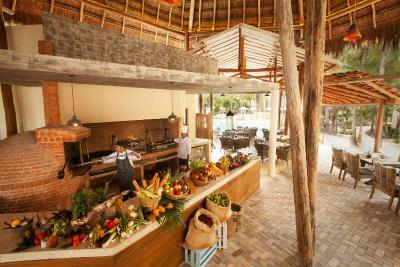 Great location, friendly staff, tasty breakfast, beautiful decoration! We loved everything! 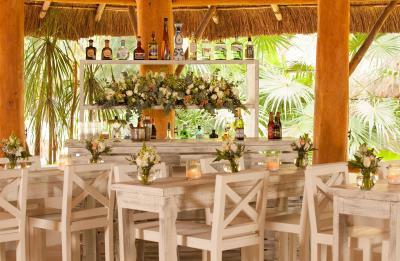 I loved loved the staff, they were so wonderful and friendly and they would always remember my name, Roque and Fernando and all those other wonderful bartenders and servers, they are what made our stay that much more special! Roque went above and beyond for us he is in our picture! 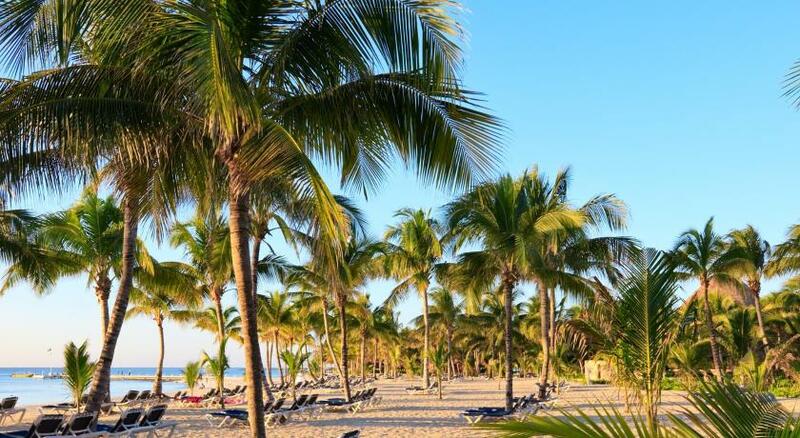 One of our top picks in Playa del Carmen.Located on the beachfront in Playa del Carmen, this resort offers 2 outdoor pools, yoga classes and massages. 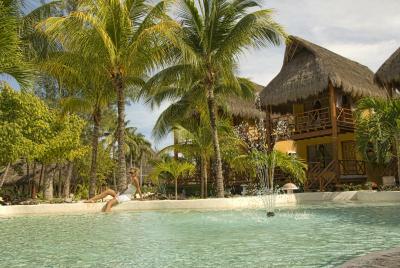 Vida Aquática offers diving certification courses, ocean dives, cenotes dives and night. 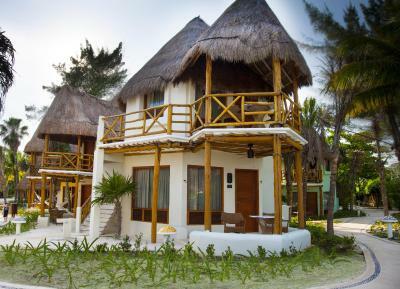 Mahekal Beach Resort offers spacious, air-conditioned rooms with Mayan-style décor. The peaceful rooms do not include telephones, radios or TVs. 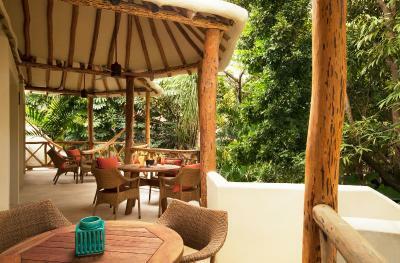 All rooms have a terrace with hammocks and views of the sea or tropical gardens. 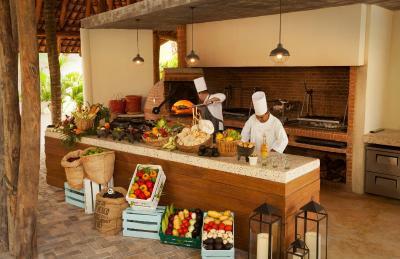 A daily buffet breakfast and à la carte lunch are available in the Mahekal’s Aventura restaurant. 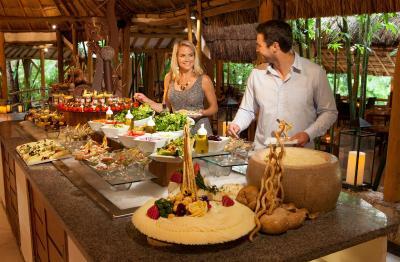 La Loma serves buffet meals or four-course set dinners, and offers regular theme nights and live music. 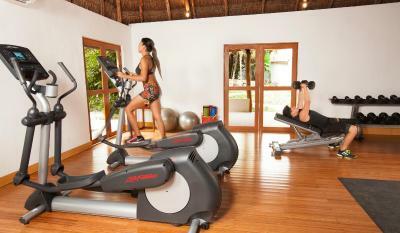 The resort is situated in a quiet area of Playa del Carmen, just a few minutes’ walk from lively 5th Avenue. 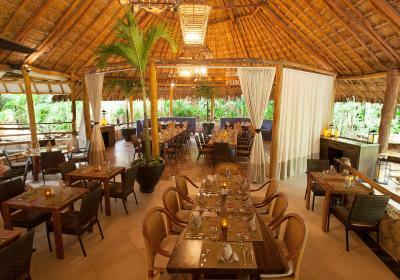 The on-site concierge can arrange visits to the Mayan ruins of Tulum National Park, a 45-minute drive away. 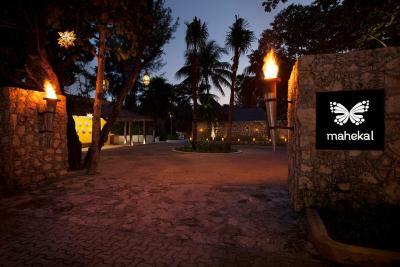 Mahekal Beach Resort has been welcoming Booking.com guests since 20 Jun 2009. 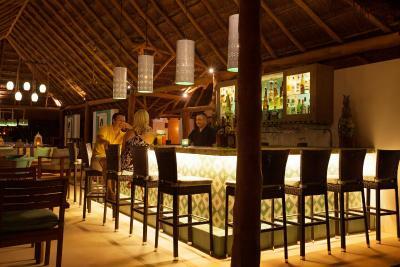 When would you like to stay at Mahekal Beach Resort? 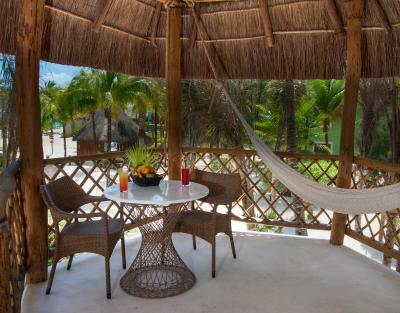 Offering garden views, these classic cabanas consist of individual bungalows or private rooms in a 2-room duplex. 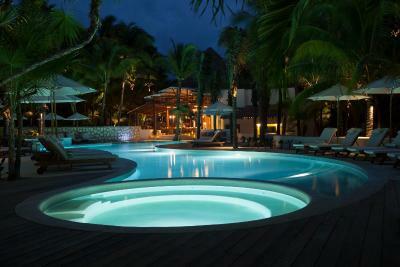 They are located are close to the Casa Club poolside bar and the Caribe pool. The beach is less than 100 metres away. 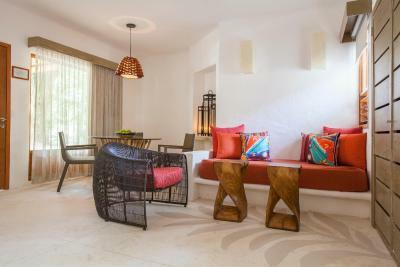 These rooms may be individual bungalows or private rooms in a 3-storey building, located in either the Caribe or the Aventura section of the resort. 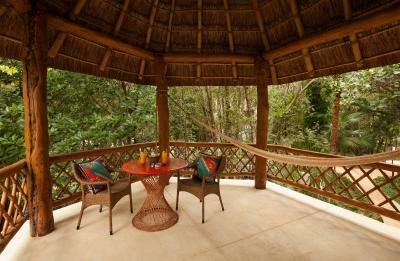 They each have a private balcony with views of the sea and gardens. 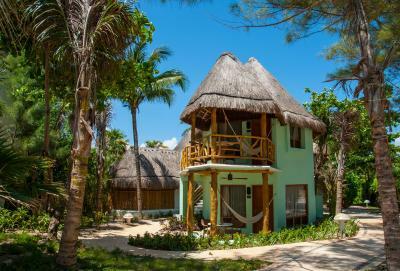 Offering a balcony with hammocks and garden views, these stylish air-conditioned rooms are either individual bungalows or private rooms in a 2-storey casita with unique thatched palapa roofs. They have a safe and a private bathroom with a hairdryer and free toiletries. 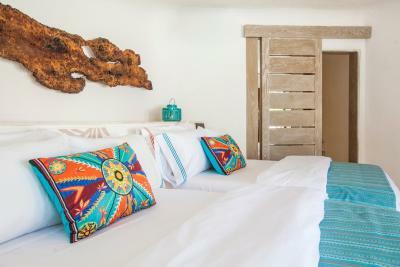 These rooms are located close to the Casa Club poolside bar and the Caribe pool, less than 100 metres from the beach. 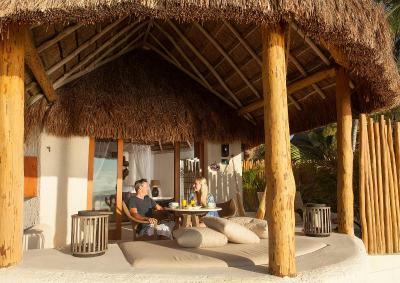 Offering a balcony with hammocks and ocean views, these stylish air-conditioned rooms are either individual bungalows or private rooms in a 2-storey casita. 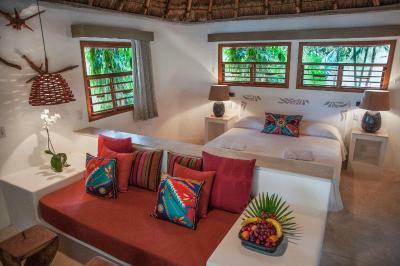 They have air conditioning, a safe and a private bathroom with a hairdryer and free toiletries. 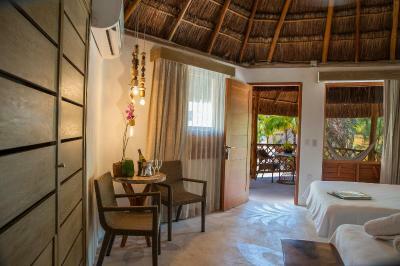 These rooms are located in the Caribe and Aventura sections of the complex, very close to the beach. 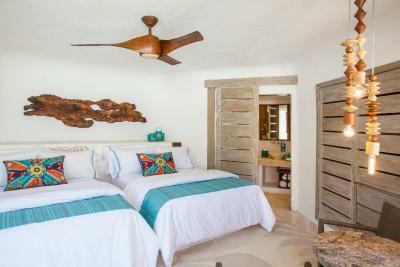 This bungalow features a private pool, air conditioning, seating area and organic amenities. 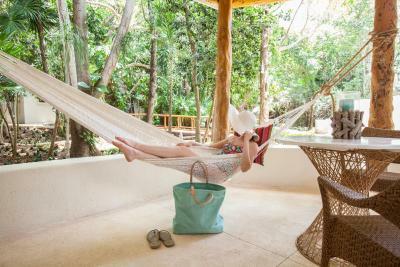 A hammock is featured to relax and enjoy the sea view. 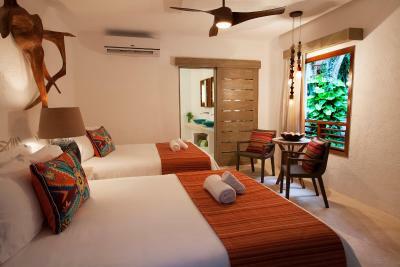 This room is nestled in the resort's tropical garden and offer garden view rooms. 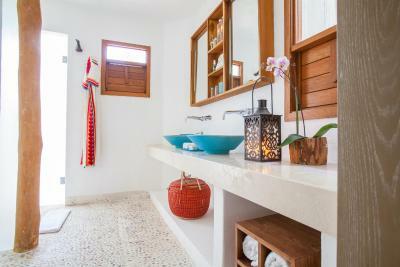 Features include bathrooms with double sinks, and in many cases adjoining outdoor showers and a fountain-lined pool. 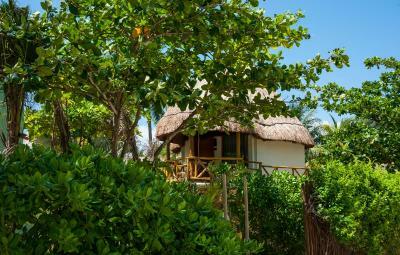 This authentic caribbean bungalow style resort provides perfect getaway for visitors since 1982. 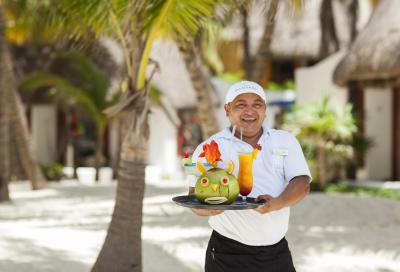 We are famous of our welcoming staff members, having the best beach in the city of Playa del Carmen and ensuring that you can perfectly relax during your vacation. 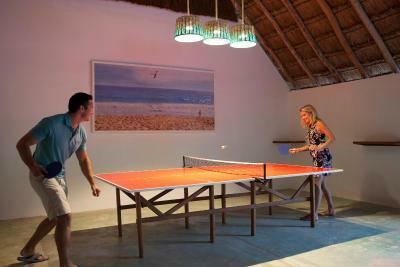 House rules Mahekal Beach Resort takes special requests - add in the next step! 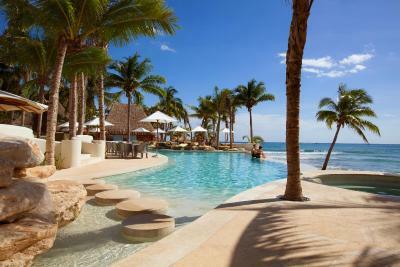 Mahekal Beach Resort accepts these cards and reserves the right to temporarily hold an amount prior to arrival. Please note that a Gala Dinner on December 24th and December 31st will be included in the rate, with an obligatory supplement of USD $80 per person above 12 years. Please note due to The DJ Festival and BPM Music Festival held at nearby properties guests may hear music on occasion from Jul 2016 through April 2017. The room location It was not as I wished that force me to pay an extra amount to change the location. 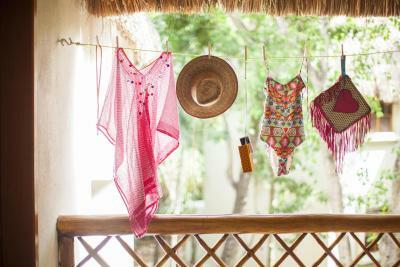 We stayed in a Palapa. They have neat straw roofs, so very hut-like. Unfortunately they are very noisy. I loved the location. 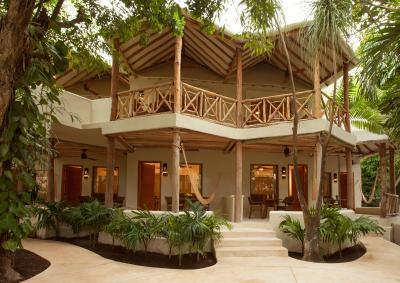 It is right on the beach and within walking distance to the main strip in Playa de Carmen. Excellent service and staff, beautiful natural scenery. Well maintained and unique. 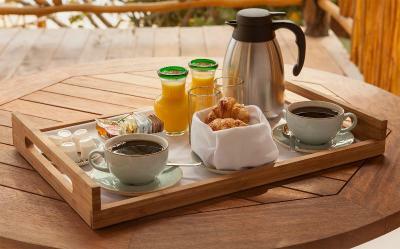 The breakfast was included and was wonderful! Many choices and specials everyday. The bed pillows. The bed was great but the pillows don’t meet the standard. Everything else is fantastic. The style of the hotel and location were amazing!! A short walk from the 5th Avenue and directly on the beach! 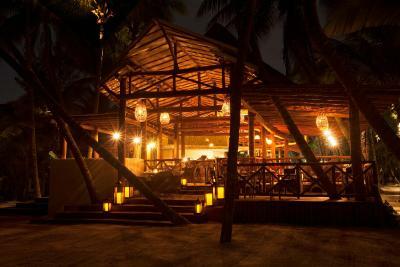 !would definitely book here again! I think reading reviews was very helpful. We knew what to expect with the noise from the next door club, so we weren't bothered by it (except for Friday night). But it is something guests so be aware of going in. Also, the beach can get very crowded and scene-y in the late afternoon. We found it peaceful and more family-friendly in the morning. 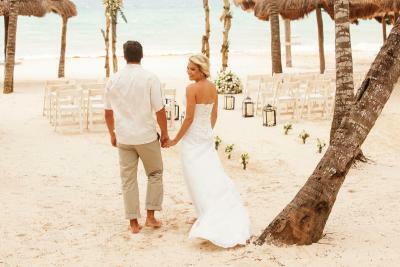 Our whole experience was excellent and exceeded our expectations. The staff is incredible; everyone was very, very kind. Super family-friendly. Extremely clean room. Lovely pools (especially by Fuego). The food overall was great, with Las Olas a particular stand out (get the green juice!). I didn't like that there was no TV in my room but I guess not having a TV makes you appreciate the natural environment so it's not a problem. 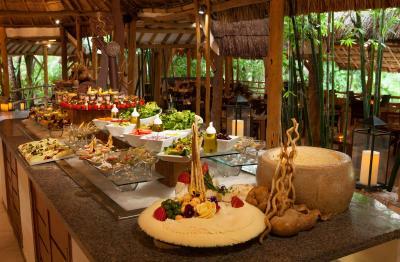 The food was great, the proximity to the private beach area was great and the room styles were beautifully designed. I loved the hammock options as well. The food here is incredible. We wandered to other places a lot but the food here is outstanding. There was a little construction going on this time. Staff is awesome! 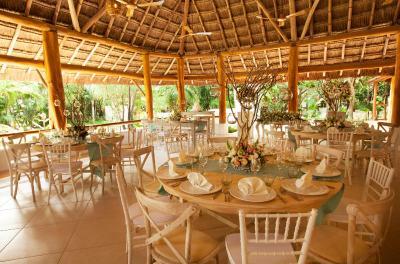 They take great care of the guests and facilities. We love Manuel! 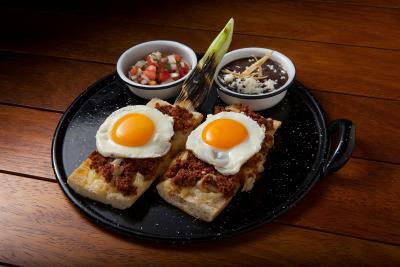 Food is great!